I’m not sure that everyone would agree but bus travel is now officially cool. This ad from Denmark proves it. This ad, which is completely tongue in cheek is being run by a small bus company called Midttrafik based in Aarhus in Denmark. It’s brave, t’s quite funny and I can’t quite see many UK bus companies running anything similar anytime soon. 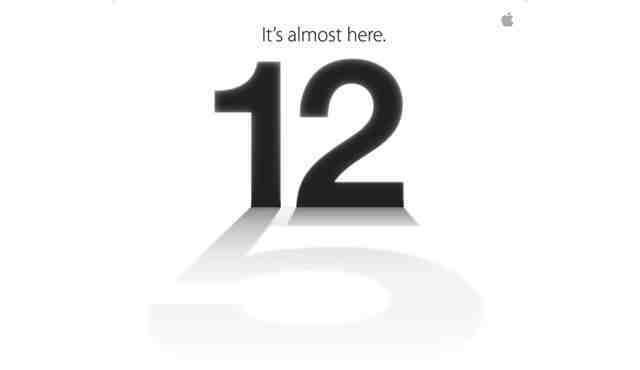 iPhone 5 is almost here, but does anyone really, really care? I was asked by my good friend Simon Egan today to comment on what I thought about this article on the BBC about Apple, which basically says they are no longer innovative and have become merely followers. And, despite being an Apple user for well over 20 years (before it was this widespread) I have to say, I agreed with it. In fact, I completely agree. Apple is no longer special or surprising. It’s too ubiquitous to be different or sought after. iPhone five with its new dock will annoy masses of people as it will render all their own kit worthless. I have a beautiful Valve based Amplifier that was totally designed around that very connecter. Admittedly I use it with my old style disk based chunky iPod and not my iPhone, but it means the end is nigh. My sixteen year old daughter broke her iPhone (by dropping it down the toilet) and moaned for a few days but it’s all gone quiet. She is now using my old Nokia and has just stopped complaining because it’s a better phone and you can still text. The rest is a waste of time done better by other devices. I experimented a few years back and lived without my iPhone for three months. I enjoyed it and may well go back there. Unless apple do something truly radical it will begin to fail. The new Televsion they are due to launch will give them a big positive blip but I can’t see them being able to do much after that. Most of our tech is covered and unless they invent a new category like they did with the original iPod, they may well be left high and dry. They could obviously extend into Domestic appliances? But for me, that really will be the end. Look at Bugatti, Dualit and the other once great brands that have gone into pastiche brand extensions. That’s where apple will arrive soon enough unless they go back to where they should be and innovate.